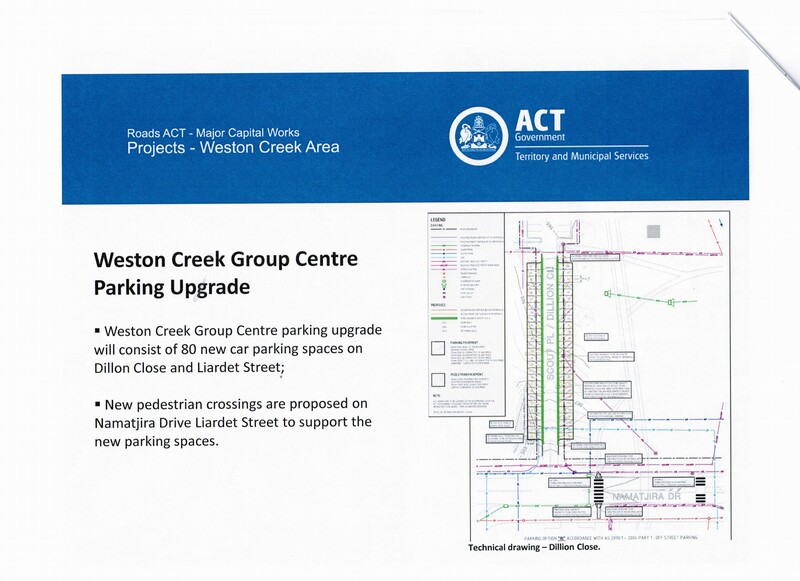 Roads ACT made a presentation to the Public meeting of the Weston Creek Community Council on 26 March outlining the proposal for an additional 80 parking spaces adjacent to Cooleman Court. 54 are proposed in Dillon Close and 26 in Liardet Street where the parallel parking will be made into 90 degree parking. This proposal will go to Government as part of this years budget process. 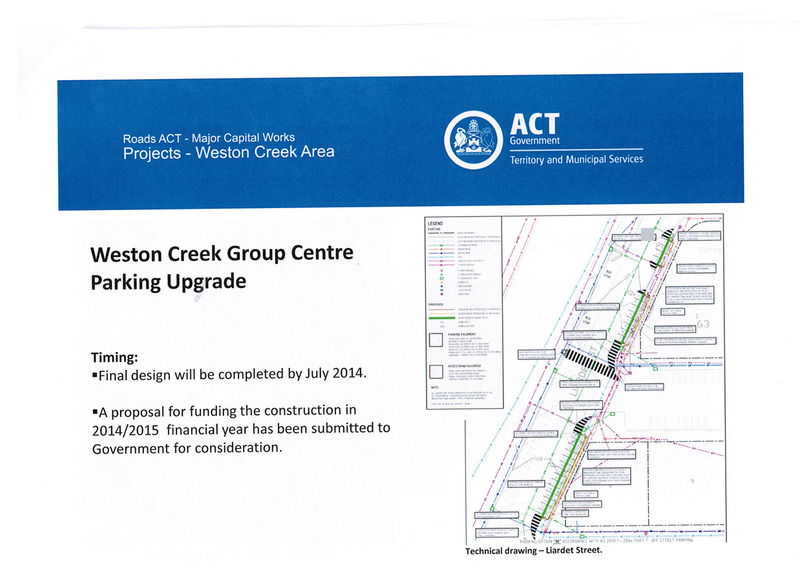 Council welcomes the additional parking places proposal – it is an issue that Council first raised with Government in 2009 and would hope that this is fully funded in this year’s budget deliberations. 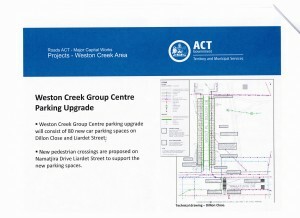 Your Chair has had some informal discussions with the Minister for Territories and Municipal Services in indicating Council’s wishes for the 80 places to be funded and provided to ease the parking burden around Cooleman Court with the influx of people into the suburbs of Wright and Coombs. 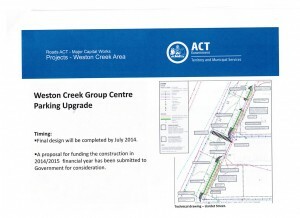 « Cotter Road Stage 2 Duplication – Yarralumla Creek to the Tuggeranong Parkway.